The retail sector keeps changing according to the change in the digital environment. The technology keeps on advancing, and the environment has to change to keep up with the changing technologies. 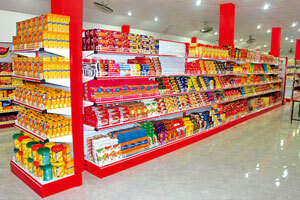 Nowadays, people no longer have time to come and purchase items from physical stores. Work and personal commitments keep people busy, and they now prefer to buy things online than from physical stores. It is more convenient and fast. 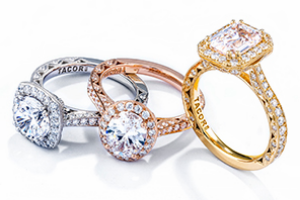 The evolving digital environment hasn’t spared the jewelry segment either. 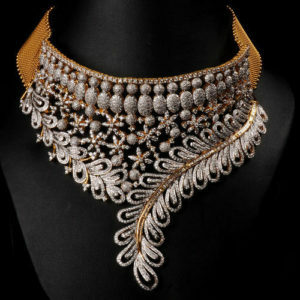 It has inspired much brick and mortar jewelers to open online jewellery stores. 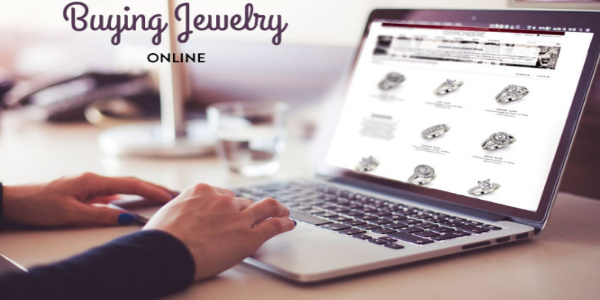 The comfort and convenience of sitting at home and choosing a jewel are considered far better than wasting a lot of time in the city traffic and visiting a jewelry store to buy jewels. Browse https://www.mckinsey.com/industries/retail/our-insights/a-multifaceted-future-the-jewelry-industry-in-2020 to take a sneak peek into the future of jewelry industry by the year 2020. Recent surveys have highlighted a declining rate of customers visiting retail outlets and shops to make a purchase. People are nowadays more interested to buy products online. The trend has increased so much so that people nowadays even buy groceries, fish, meat and other perishable items from online stores. The national statistics recently announced that the headcounts in retail outlets and shops dropped by 2.2% when compared to previous year. This also causes unemployment issues in the retail sector. Increase in automation is predicted to cause an 80% decline in retail jobs. Ø Petersham Nurseries- It provides an urban garden center right within an elegant and sophisticated building. It thus provides a multifunctional experience for the visitors. There are both outdoor and indoor courtyards with events, florists, gardens, gifts, learning and dining experiences. They offer cookery and wine too. You could even organize a wedding inside it! 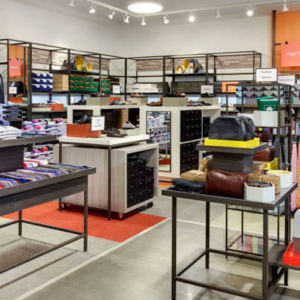 Ø Wingtip- Located in America, this menswear retail gives the usual retail shops a chic and elegant twist. The tagline itself speaks a lot. It is “Solutions For The Modern Gentleman.” The line itself catches the attention of all the visitors and lures them to the retail space. The beginning portion of the store highlights exquisitely arranged smart accessories and clothes for men. As you proceed inside, there is a wine cave, cocktail bar, barber shop, clubhouse, fly fishing shop, etc. The store thus changes the concept of shopping and makes it a beautiful experience for the visitors. The store is only accessible to members, and you have to pay a monthly fee to access the place. Isn’t that an innovative and smart way to build the revenues? Shopping malls are large spaces which can be put to good use with creativity and skills. Remember the fact that almost all these malls are within the city limits and easily accessible by public and private transport. That makes it a great option to convert the mall to educational institutions like colleges with classrooms, recreational centers, libraries and play areas. It needs to be renovated a bit, but it is always worth the efforts. High profile company offices also need a lot of space. A shutdown mall can be easily used as an office with some renovation methods. Take for example the Mayfield mall in Mountain View at California. It was shut down in 1983 due to the decline in sales. Later HP took over the abandoned mall and transformed it into office space. Later by 2013, Google bought the place and renovated it once again to make it the Google Glass headquarters. One of the greatest and most easy methods of reviving dead malls is to convert it to warehouses. The malls containing large areas can be easily made into smaller retail spaces with large storage capacity. Probably, the only people rejoicing in this idea of repositioning malls into smaller retail spaces will be the Rack Manufacturers! All the retail spaces would need a variety of racks to store the goods. 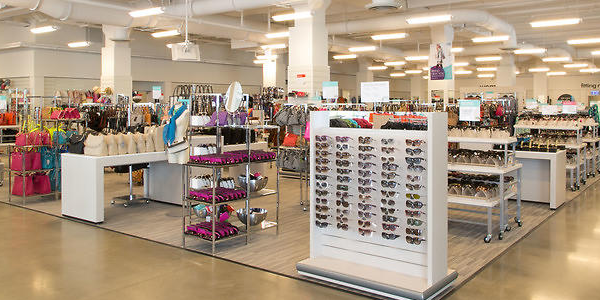 Browse https://www.displays2go.com/Guide/Get-Most-Out-Your-Retail-Store-Visual-Merchandising-27 to learn how to make the most out of retail stores with visual merchandising methods. The mall can also be easily renovated to make micro-apartment complexes within it. It can include apartment complexes, restaurants, hair salons and coffee shops. One of the greatest examples is the Westminster Arcade in Providence, Rhode Island. It was known as the oldest shopping mall in the US. It began deteriorating and was shut down in 2008. Later, in 2013 it was renovated and reopened as a micro-apartment complex. Now it has about 48 units of 300 sq ft size apartment complexes complete with restaurants, coffee shops, and salons. The dead malls can also be converted into medical centers providing health aids and treatments to the ailing people. The mall can be renovated and changed into lobbies, administration offices, treatment centers, doctor’s rooms, labs, coffee shops and clinical rooms. The major advantage of dead shopping malls is the large built-up area that can be put to good use with some renovation works. 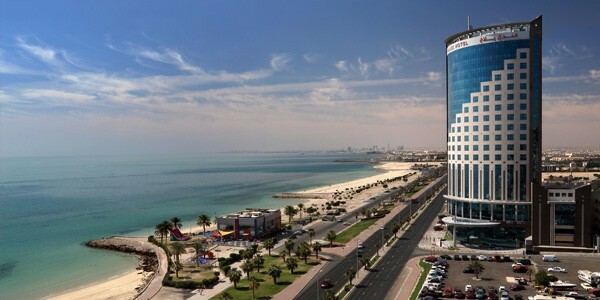 The fact that it is also located in an easily accessible place probably in the heart of a city makes things much easier. 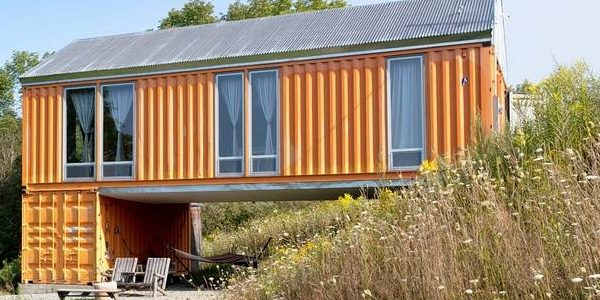 Shipping containers can be easily put to good use by converting them into anything you like! You can convert it into an office, a house, a swimming pool, an ablution unit and what not! One of the major advantages of shipping container modifications is that it is less costly, needs less labor and is completed within a short time. It is environment-friendly too. Shipping container homes are now in vogue, and more and more people are opting for it. 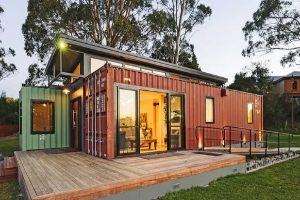 Check out https://www.realtor.com/advice/buy/shipping-container-home-designer/ to know the reasons behind this craze for shipping container homes. The shipping container homes are considered as the hallmark of architectural recycling. The building units can be used in any way as you wish. The shipping container homes are an excellent, durable and inexpensive solution for industrial, commercial or residential usage. Ø Easy to build! Yes! It is as simple as that! Compared to complicated and time-consuming processes needed to build a simple house, the shipping container homes are built as easy as making pie! It doesn’t need months or years to complete the work. It doesn’t need extensive labor and material supplies. It doesn’t make a hole in your pocket. It makes lives simpler and easier! Ø Can be insulated easily. The shipping container home remains cozy and warm even in chilling winters. 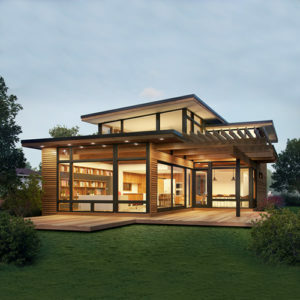 The home can also be made resistant to excess heat in summers. Ø You can move to new places in your home! Isn’t that great? A house on wheels is a great idea for people who love to travel and move to different places. It can also be used as a great accommodation method for site workers who need to move to different sites after work at one site is complete. 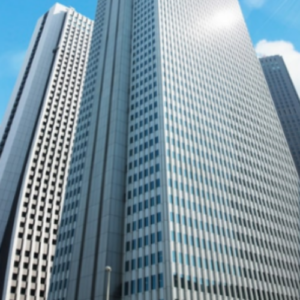 Ø Can handle extreme weather conditions like earthquakes, hurricanes, and tornadoes. It can easily handle strong winds up to one hundred and seventy-five miles per hour. They are touted as the best protective shelter against nature’s fury. Ø Length-20 feet, Width-8 feet, Height-8 feet. Total 160 square feet area. Ø Length-40 feet, Width-8 feet, Height-8 feet. Total 320 square feet area. A single container itself can suffice for converting it to a small home. But multiple containers can also be added to it to make larger houses, malls, educational institutions or office complexes. 20 feet shipping container can cost between $1400 to $2800. 40 feet shipping container will cost between $3500 to $4500. Some containers come along with plans and building kits to make it easier to build and customize it. Some of the shipping container building manufacturers supply prefabricated shipping container houses for prices as low as $15000 and above. 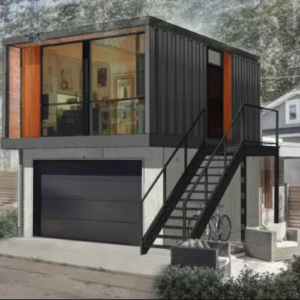 Large shipping container homes can cost maximum $215,000. It is still a very low amount when compared to the cost of building a large concrete house. Even before beginning of the project, the first step is the site selection. Selection of the site is not as easy as it might sound. 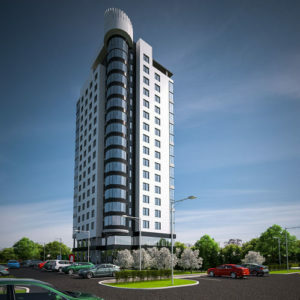 A suitable site is one of the most crucial factors in real estate or construction work. A project management consultant is well experienced and will know all the minute details to be checked while selecting a site. S/he can also handle the entitlements and zonings related to it. They select the teammates of the project and ensure that only skilled and expert personnel are selected in the team. In short, a project management consultant takes care of all the difficult yet crucial selection processes that are related to the project. Setting up a budget and fixed schedules is a task that can be done only by an experienced person. A project management consultant will have the expertise and experience to decide on the schedules and budget limit within which the work should be completed. They help in ensuring that all the needs of the customer are met without burning a hole in the their pocket. Thus, they play a pivotal role in laying the foundation for a successful project. Once the project starts, the project management consultant becomes the owner’s representative. They are always present on the site to ensure that the work takes place smoothly according to the specifications conveyed by the owner. They ensure that the project doesn’t lag behind and each stage of work is completed within the stipulated time. After heading the planning processes and ensuring that the work begins at the right time at the right place, the project management consultant now begins the execution of the tasks. They ensure that all the tasks related to the construction process are properly executed without any errors. They take care of processing of payments and scheduling of contractors. They also manage change orders. 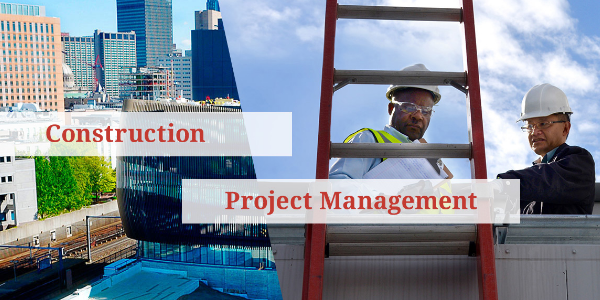 The real estate and construction projects need the services of a project management consultant who has the relevant knowledge and experience in the field. They promote teamwork and ensure that the targets are met with a combined effort by all the team workers. They are certified experts with excellent communication and interpersonal skills to manage a whole team of workers involved in the construction process. They are the decision makers who can make tough decisions easily with their professional knowledge and experience. Planning a new town from scratch is an overwhelming process if you do not have any guidelines set down. One of the first things to consider while planning a new town is the location. While deciding the location, you will need to keep an eye on few factors like proximity to the nearest major cities, water sources, etc. With water scarcity becoming a common problem in different corners of the world, it is essential that you check the planned location for the new town has a reliable water source. As time goes on, the number of people in the town will increase, thereby placing more demands on the water source. It should be able to handle the growing demands in order to sustain the town. If water scarcity becomes an issue, in time people will start moving to different parts of the country, turning your magnificent town into a ghost town. Planning and building a new town from scratch requires a lot of resources. It is going to be a huge financial burden unless you have the organization or committee you represent has the means to pay it. 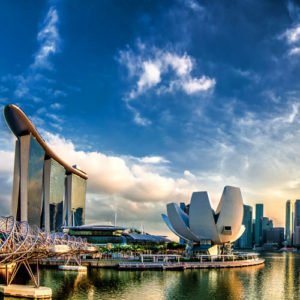 It has been observed time and again, how different countries plan out new cities by attracting interest from private investors. This assures liquidity for the construction of the city to be seen through till the very end. People are willing to move to new locations on the assurance of finding good paying jobs. So make sure that the town you are building will have well planned areas from industries, business, and firms and so on. The city can be sustainable on its own only if it provides jobs to its working force. With the growing number of employment opportunities, the number of people immigrating to the city will also increase. Nobody likes it when outsiders come to claim a stake in their land. Similarly, if the location you have chosen to build your fabulous new town is already occupied by locals, keep them in the loop about the proceedings. You can make them your allies by involving them in the construction of the new city. However, there may be cases where the locals are not very welcoming of the new changes you are bringing forth. In such cases, you need to consider different negotiation tactics to encourage them to accept the inevitable. You can create your masterplan for the new city from the comfort of your office using specific software. This helps you to lay out plans for the city including the basics like electricity lines, sewer pipelines, public transportation, and water systems and so on. Recently masterplans for cities also include Wifi sensors, sensors, and fiber optic grids to increase the connectivity. Once the masterplan has been created, it makes it easier to plan out the actual process. It also helps visualize the city before it is actually completed. If your masterplan for the city includes a manmade canal, you can consider having a water transportation system as well. 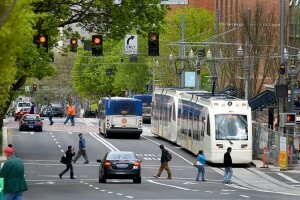 The other usual transportation modes include a metro system, tram system, public bus transportation, taxis, etc. Modern cities today are interlinking all the transportation systems together and bringing them under one umbrella. This makes it easier for the people using them and the people running them. Once all the systems run in a coordinated manner, the number of cars on the road will go down thereby reducing the carbon footprint of your city. It has become common to see at least a coffee shop along every street.Businesses like laundry shops, coffee shops, fast food shops, newspaper shops, spas, salons, etc. are all used by people regularly. The same way there are some shops that need to be placed around the city in different places to ensure that the public has easy access to them. For example people will have access to spa therapies from best spas like Riverday Spa, various kinds of foods , different shops and services which are nowadays basic needs. This makes it easier to go for Ayurvedic body massage from Riverday Spa. Planning a city well includes being aware of the small details like this one. You can use refer to the master plans of other successful cities to get a better idea on how to place the different businesses within the city. EMT International offers the necessary assistance for the definition of the purchase negotiations of properties in the US, with an emphasis on markets in New York, Miami and Los Angeles now more than ever attractive to investors as a result of the favorable exchange rate Euro / US Dollar. 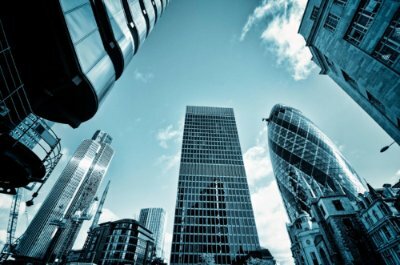 Through our headquarters in New York and our employees in Miami and Los Angeles, we are able to offer a structure that corresponds exactly to your needs. 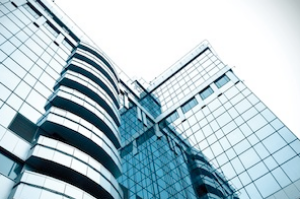 Contrary to other companies that carry out their main activity in Italy and rely on American intermediaries, we are directly present in the US market and in touch with the owner of the property or the construction company. We have access to all properties for sale in the United States and in a very short time we can make the best offer on the market.